PCA9632DP1 I2C 4ch LED Board that uses PCA9632DP1 by NXP, an I²C-bus controlled 4-bit LED driver. 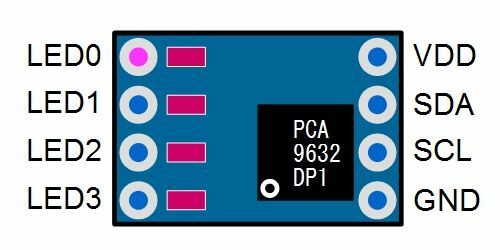 An individual PWM controller makes the brightness value of LED adjustable. This board itself already has LEDs on, so 4 LEDs will blink just by connecting it to the I2C bus. When laying multiple of this board, LEDs are evenly spaced in linear alignemnet. The I2C address is fixed to 0xC4（1100 010x）and can not be changed. Please prepare pin headers separately and solder them accordingly. 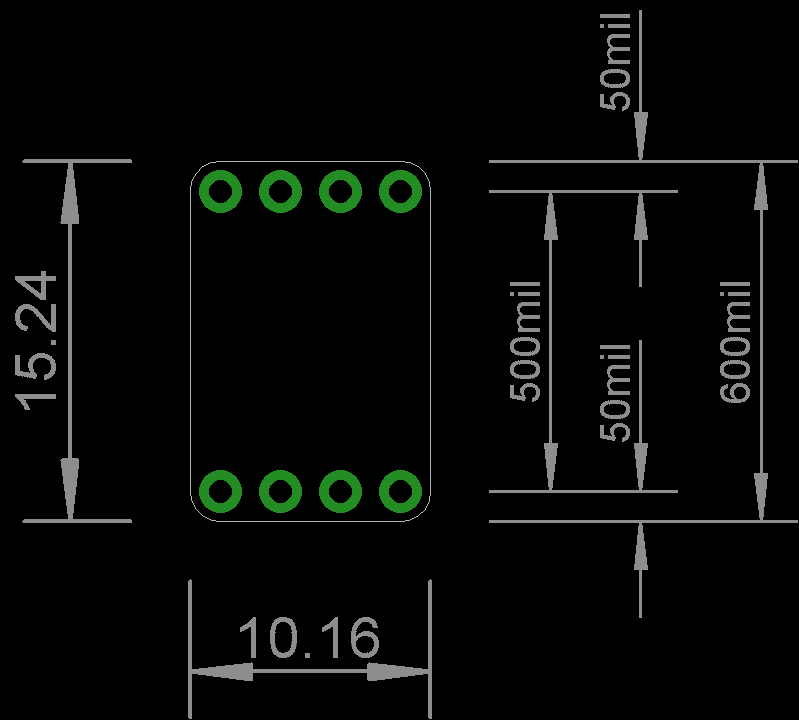 2 LEDs will light up out of 4. Brightness can be controlled individually.